Str 1 Sta 2 Agl 1 Dex 2 Fgt 3 Int 0 Awe 1 Pre 0. Powers: Pyrokinesis: Perception Damage 7, Secondary Effect. AE Flamethrower: 60’ Line Area Damage 7, Secondary Effect. Fireproof: Immunity 10 (Fire Effects). Skills: Athletics 2 (+3), Expertise: Criminal 4 (+4), Intimidation 4 (+4). Offense: Init +1; Pyrokinesis (Perception Damage 7), Unarmed +3 (Damage 1). Defense: Dodge 8, Parry 7, Fort 2, Will 1, Toughness 4(2). Burner is a pyrokinetic, able to cause spontaneous combustion. He is himself immune to fire. Powers: Gravity Control: Move Object 10, Limited to canceling or increasing gravity. AE Flight: Burst Area Flight 5 (60 mph), Affects Others, Platform. Density Control: Density 5, Side Effect (Hindered). Skills: Athletics 2 (+3), Close Combat: Unarmed 2 (+6), Expertise: Criminal 4 (+4), Intimidation 2 (+2). Offense: Init +1; Gravity Control +4 (Move Object 10). Unarmed +6 (Damage 8). Defense: Dodge 6, Parry 7, Fort 2, Will 0, Toughness 7/2. Lifter’s gravitational powers allow him to manipulate objects and his own density. Skills: Acrobatics 3 (+7), Athletics 3 (+8), Close Combat: Grab 4 (+8), Expertise: Criminal 4 (+4), Intimidation 4 (+3), Sleight of Hand 2 (+3/+8) [Focus], Stealth 4 (+8). Offense: Init +4; Grab +8 (STR 6), Unarmed +4 (Damage 5). Slither is a tailless snake-man with an elongated neck he can use for grappling. In his solo career he has employed a jetpack and firearms. He has been a member of the Serpent Society and the Fangs as well as Mutant Force. Since I’m being completist, I have to acknowledge the existence of the second Brotherhood, better known as Mutant Force. Or the Resistants. Or “that bunch of losers” (not to be confused with The Losers, who aren’t mutants). I’m inclined to think Magneto bought this bunch, and the Savage Land Mutates, as minions. For a team with such a large roster, there aren’t many of them left. M-Day got three of them, and Predator X ate Peepers. 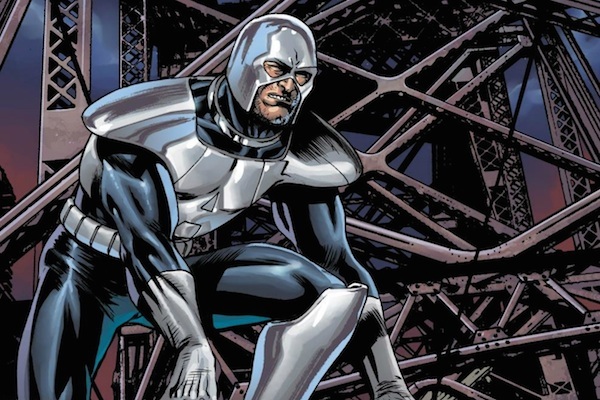 They spent most of their so-called career jobbing to Captain America, only really interacting with the rest of the mutant world toward the end. I remember them mostly as the Resistants. Which is to say, I remember them as being on Captain America’s side of the Civil War before Captain America was. Acrobatics 5 (+9), Athletics 6 (+8), Close Combat: Unarmed 4 (+12), Deception 14 (+18) [Redirect, Set-Up], Insight 0 (+4), Intimidation 0 (+4), Investigation 3 (+6) [Contacts], Perception 5 (+10), Persuasion 0 (+4), Ranged Combat: Guns 5 (+13), Sleight of Hand 12 (+14), Stealth 6 (+10) [Hide in Plain Sight], Technology 4 (+7). Motivation: Mystique looks out for herself first, Rogue second, and mutants in general a distant third. Hatred: Mystique has been persecuted for a mutant to the point that she feels a deep hatred of humanity. Prejudice: Mystique is a mutant. Relationships: Mystique feels closer to Rogue than any of her natural children, and she still mourns Destiny. 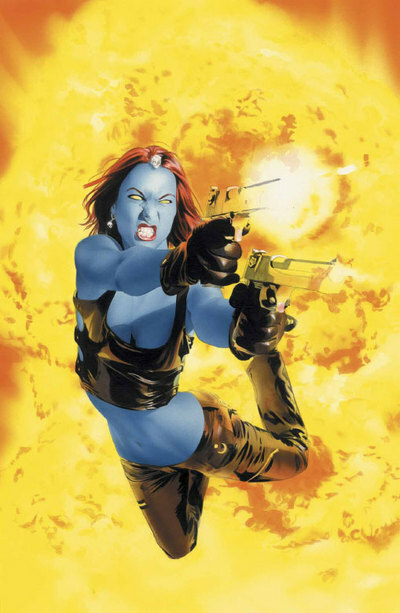 Mystique is more super-spy than mutant; her mutant powers mostly complement her skills. She’s always struck me as slightly ill-at-ease with a team of mutant villains, a lot like the Black Widow; she shines best as a solo operator, or as the shadowy manipulator. I still think they should have made her Nightcrawler’s father. Athletics 0 (+3), Deception 4 (+4), Expertise: Bartender 4 (+5), Expertise: Gardner 4 (+5), Expertise: Mercenary 4 (+5), Insight 0 (+0), Intimidation 6 (+6), Perception 3 (+3), Persuasion 0 (+0), Stealth 0 (+2), Vehicles 3 (+5). Avalanche (Area Move Object 10), Chasm (Area Affliction 7, Burrowing 7, & Damage 7), Earthquake (Area Affliction 10), Vibrations (Area Weaken Toughness 10), Unarmed +5 (Damage 3). Motivation: While he claims to be motivated by mutant prejudice, Avalanche has turned his back on the cause when he could make a buck. Accident: Even when under control, Avalanche’s powers are widely destructive. He tends to rupture gas lines, destroy streets, and collapse buildings without trying. There’s a reason he wears a helmet. Prejudice: Avalanche is a mutant. Avalanche is refreshingly simple. He does one thing – move Earth, or large area attacks if you want to look at it game-mechanically. He does it really well. He’s not out to rule the world; he just wants people to stop picking on him and get paid. He’s more or less retired now, running a bar in San Francisco; this is not a hard-core mutant terrorist. This is a guy with a lot of power who was staying out of things until Mystique talked him into joining her Brotherhood. Avalanche is mostly a debuffer, but his earth-waves can be just destructive as well. And the property damage he can cause is immense. Growth modifiers are restricted by PL limits. Each rank of Growth adds 1 to your Strength and Stamina (constructs add 1 rank to Strength and Toughness if they lack Stamina), gives a +1 bonus to Intimidation, and a −1 to Stealth. Odd-numbered ranks of growth give a −1 penalty to Dodge and Ranged attacks, and +1 to Lifting Strength. Even numbered ranks increase your weight by 3 ranks and your size rank by 1 (ordinary humans start out at size rank -2), which also increases your reach (your reach is equal to your size rank) and speed by 1 rank (you start at speed rank 0). You take a penalty equal to your size modifier vs. Area attacks resisted by Toughness or Fortitude. House rules update. This is to keep really big guys for whom Growth isn't supposed to be their main power from being defined by it (think Galactus and Celestials), and keeps growing guys from being stronger than Thor and the Hulk. It now takes 4 ranks of Growth to go up a PL, and that gets you to 60' tall. Athletics 0 (+16), Deception 2 (+2), Expertise: Criminal 4 (+4), Expertise: Soldier 4 (+4), Insight 0 (+1), Intimidation 10 (+12) [Growth, Startle], Perception 0 (+1), Persuasion 0 (+0), Ranged Combat: Throwing 4 (+4), Stealth 0 (−2) [Growth]. Motivation: Cain likes being the strongest, most powerful person around and can’t resist a challenge to prove it. Hatred: Cain despises his half-brother, Professor X. 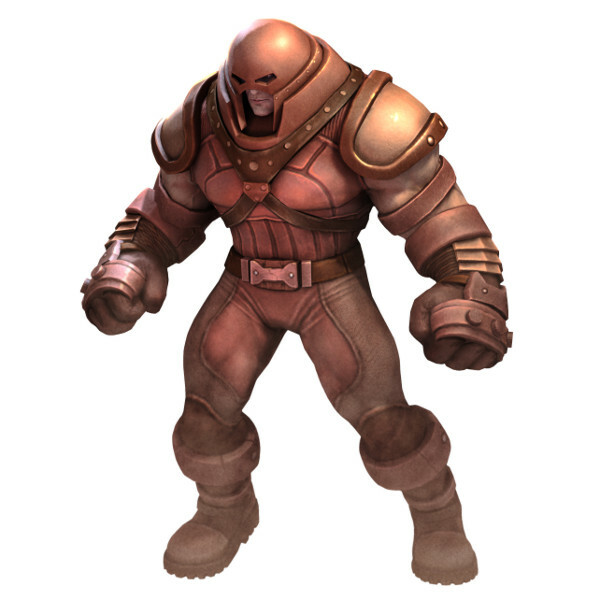 Power Loss: If the Juggernaut acts selflessly or otherwise defies Cyttorak, Cyttorak will withdraw his powers, starting with his Growth. Relationships: Cain’s only real friend is Black Tom Cassidy. My first encounter with the Juggernaut was one of his battles with the Hulk. I remember wondering how a man with a head that small could have hands that big. As a Hulk foe, he always had street cred with me; I didn’t find out he was mostly an X-Men foe until he and Black Tom went up against them for Erik the Red. Juggernaut’s the kind of powerhouse I like. For all his power, he’s after simple things – money, dominance, and beating the crap out of Professor X. That means you can use him basically anywhere and any time you just need a huge brawl. Turning off his Growth takes him down a notch; I didn’t make it permanent for that reason, and because various artists depict him between being a big man and actually gigantic. With Impervious Toughness 10, he’s bouncing a lot of heroes’ attacks, never mind anything short of strategic weapons that normal humans might use on him. And once he gets moving, the combination of his Unstoppable and Ram powers makes him a line of destruction. Favorite Juggernaut line- (after being punched in the nose by Captain Britain) "Nice punch. Cute suit. You the local good guy?" Acrobatics 2 (+3), Athletics 2 (+4), Deception 0 (+6/+11) [Focus: Trick], Insight 0 (+13) [Ultimate Skill], Intimidation 0 (+0), Investigation 2 (+16) [Skill Mastery], Perception 0 (+13), Persuasion 4 (+8), Stealth 0 (+2), Technology 4 (+8/+13) [Focus: Computers, Skill Mastery] Vehicles 2 (+3). Motivation – Acceptance: Doug’s best friends are mutant adventurers, so he tries to help them how he can. Power Loss: Cypher’s Body Language power doesn’t work against attackers with no Presence, and the Enhanced Fighting and Dodge may not be useful for some saves. Relationships: Doug and Warlock are pretty much inseparable. 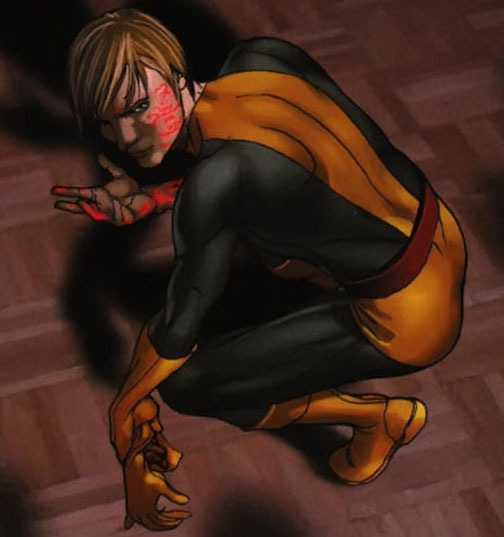 He had a crush on Psylocke and was in love with Wolfsbane when he died; he and Kitty Pryde were just friends. Doug basically takes all the skills Dani doesn’t have. Before he died, he was basically “non-combat guy”, doing hacking and whatever other unglamorous, non-visual stuff the team needed. Since his resurrection, his powers have been interpreted much more broadly; he now squeezes maximum information out of anything he sees, which makes him come over like a super-detective at times. I’m really liking this interpretation; it’s a super-power I can’t recall ever seeing before. They also gave Doug the body-language reading powers Cass Cain has, which supposedly make him an uber-martial-artist. That sorta presupposes he knows how to take advantage of knowing what the other person is about to do, but he has had basic X-Men combat training. As long as he’s fighting someone with body language to read who’s not too tough, he’s effective. This is a phenomenal Cypher build. Like, I'm a bit in awe, but not enough in awe that I'm not gonna steal stuff. You can't steal it, Phil; I give it to you. Open source characters FTW. jspade wrote: You can't steal it, Phil; I give it to you. Open source characters FTW. That's the stance I've taken as I have stole, er, used the Open Source from other builds for like 7 years now.